A furler is the ideal system to set and strike light sails. 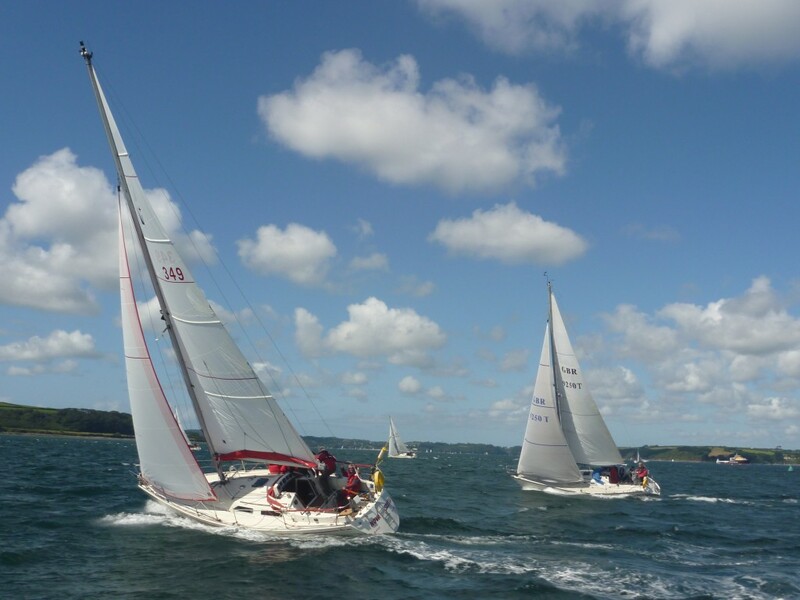 In a race utilising multiple furlers for various sails, Karver offers the advantage of roller furling without the weight & windage of a conventional roller reefing system. K.F. 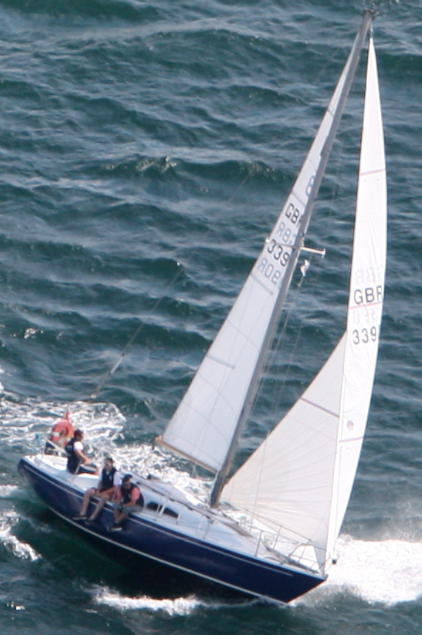 furlers optimize sail handling with minimal weight aloft. Karver is an industy leader in this concept offering a complete range of superior products for all sailors. Unlike conventional reefing systems that are fixed to the stay and have rigid extrusions, a furler is a light cast off system that allows ease of deploying and striking a sail with the added convenience of lowering the rolled sail for ease of stowage, minimizing weight & windage aloft. The rolled sail is easily removed from the sail locker, the drum attached to the deck and a halyard attached to the swivel. Hoist the rolled sail and simply unroll it and set the sheets. In addition a single furler may be utilized on numerous sails (gennaker, staysail, stormsail…), improving sail handling and overall safety aboard. FURLING DRUM: Karver’s furlers have a notched self locking wheel to make the continious line smoothly grip the wheel. The mechanism is made of V-shaped, angle less grooves to avoid the wear on the rope while assuring an optimum movement even when the rope is not under load. This wheel is protected in an elastic plastic spool. This system is safer than any other: after a shock the spool takes it’s shape back and will not restrict the wheel rotation. This feature is exclusive to plastic spooled furlers, a metallic spool would simply distort, deform the furler and dramatically reduce rotation, possibly even jamming. UPPER SWIVEL: The loads applied to a furler are particularly high on the swivel. Karver utilizes high resistance stainless steel ball bearings to ensure smooth rotation under the most extreme loads. The loop line is simply & quickly engaged or removed from the spool through the notch. Stepping three new masts this winter in St.Winnow boat yard. Two Albin Ballad rigs and a Contessa 32 rig. Pictures will follow once all rigs are stepped in early December 2011. Only six months of trading and Sail Shape has steeped four new masts by Selden and Z spar making Sail Shape – A PROVEN FULL RUNNING AND STANDING RIGGING SERVICE! 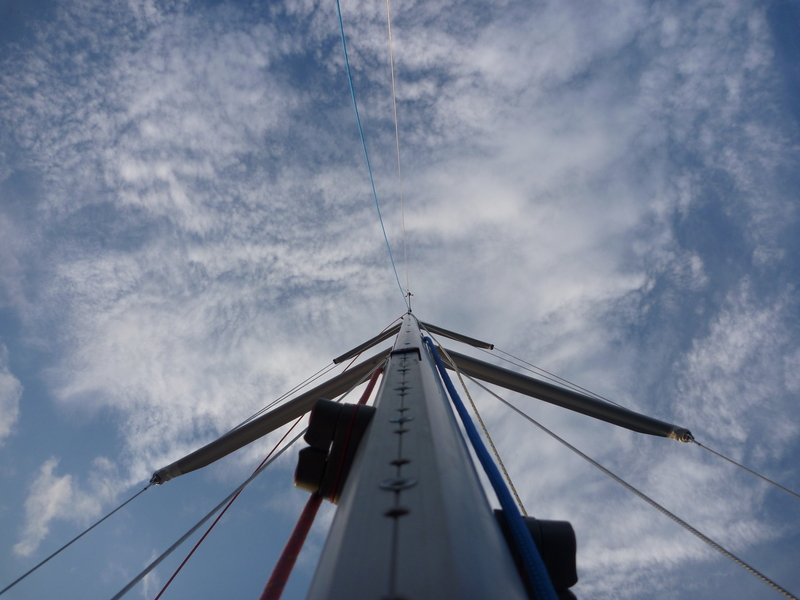 Above: The new heavy SKZ 450 Solent sewing machine at work on a mainsail. The new machine can sew through 10mm of Dacron in triple step. The new machine allows Sail Shape to builds much bigger sails without compromising the quality of sewing. These machines build super yachts sails which proves it strength. Currently Sail Shape has 4 sailmaking machines and two cover machines. A Spinnaker light machine which sews triple step and zig zag, Pfaff 138 heavy zig zag, a light Pfaffzig zag and a the new machine was will go up to the thickest 138 thread. On the cover making side we have 2 walking foot Seiko straight stitch machines. The inventory of Sail Shapes sailmaking and covermaking machines now means it can deal with any repair that comes through the door no matter how big or small. 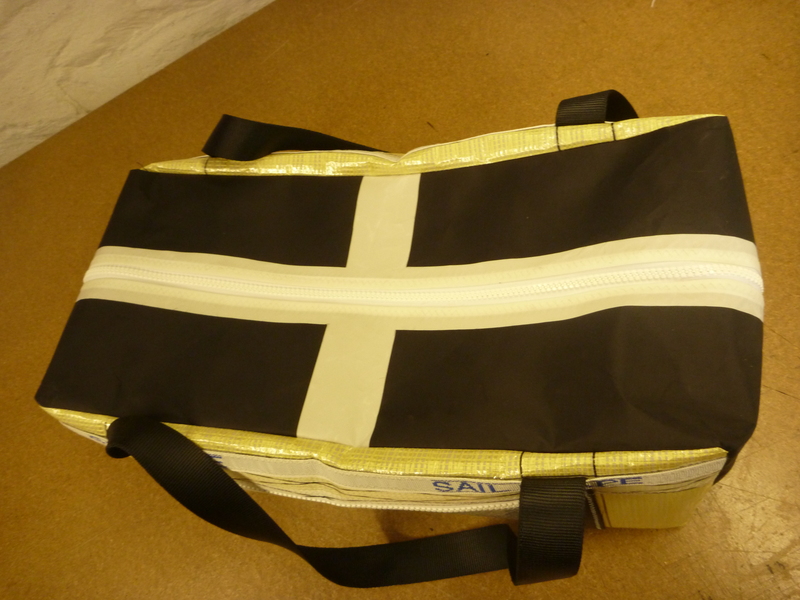 Legendary sailor, Pete Goss MBE has helped re-launch a sail making business in Fowey, which has been taken over by the student of the original owner. 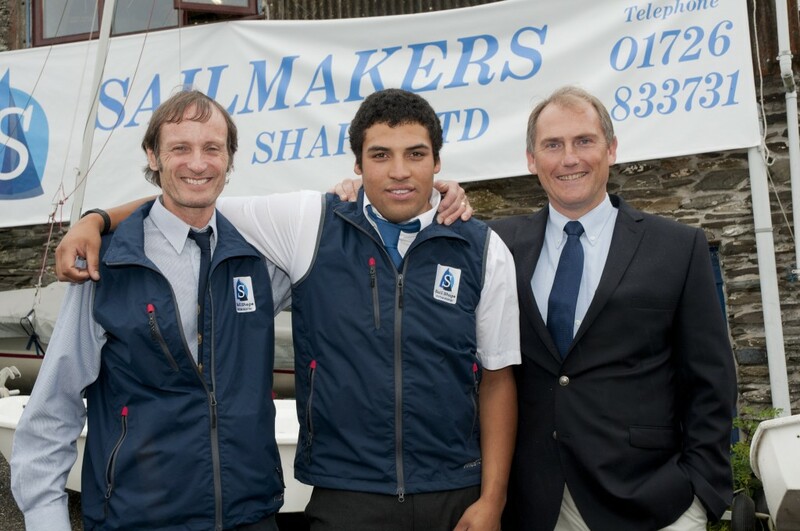 Alan Harris-Guerrero (24) served an apprenticeship with Andy Mitchell of Mitchell’s Sails, before travelling to Australia and New Zealand to further his career. Now back in the town where he went to school, Alan has just bought the business and is now employing his former boss! At an official launch ceremony today (Tuesday 6 September) Pete Goss spoke of his enthusiasm supporting new ventures involving young people. Pete then invited the guests to raise their glasses to ‘fair winds for the future and to lofty ideas’. Sail Shape Ltd has recently been passed out by ISAF, as an IHC certified loft. 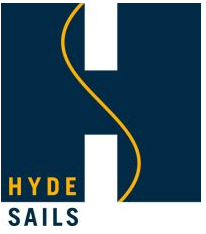 Sail Shape can now certify sails In-House for both RYA, One Design and IRC endorsed vessels. Through the IHC process the sail is measured by the sailmaker to see if it fits the requirements and if ok, it is stamped and marked with the ISAF logo. With this certification the sailor will avoid measuring before racing saving time and money. IHC is a programme to enable builders to self-certify equipment – once they have met certain standards. The aim of IHC is to maintain the standards of fairness guaranteed by traditional control and certification, but reduce the time and cost of these activities. 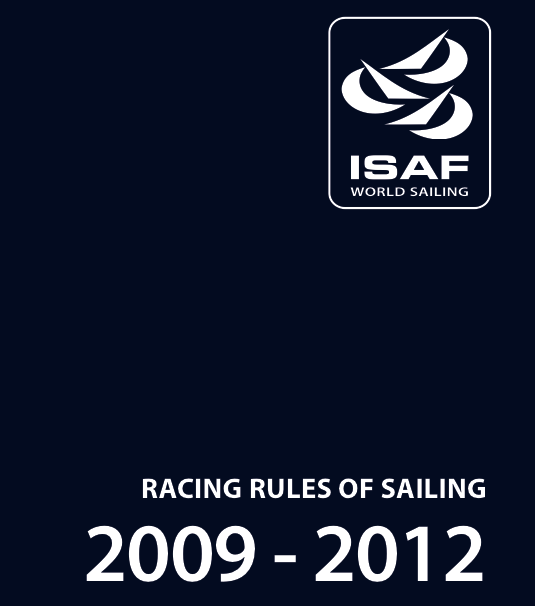 For sailors this means they can buy certified equipment, knowing it is ready to race. With an international system of IHC, ISAF can ensure standards and certification apply worldwide. 6. Why is the ISAF IHC Programme better than our current measurement system? 7. What are the costs involved for both the sailors and manufacturers? 9. Will the ISAF IHC Programme remove the need for existing measurement? It may do. Current measurement proceedures will continue to be necessary for classes that do not wish to be included in the ISAF IHC Programme, or for classes where their class rules are not suitable for IHC; however, this is time and class and manufacturer dependant. 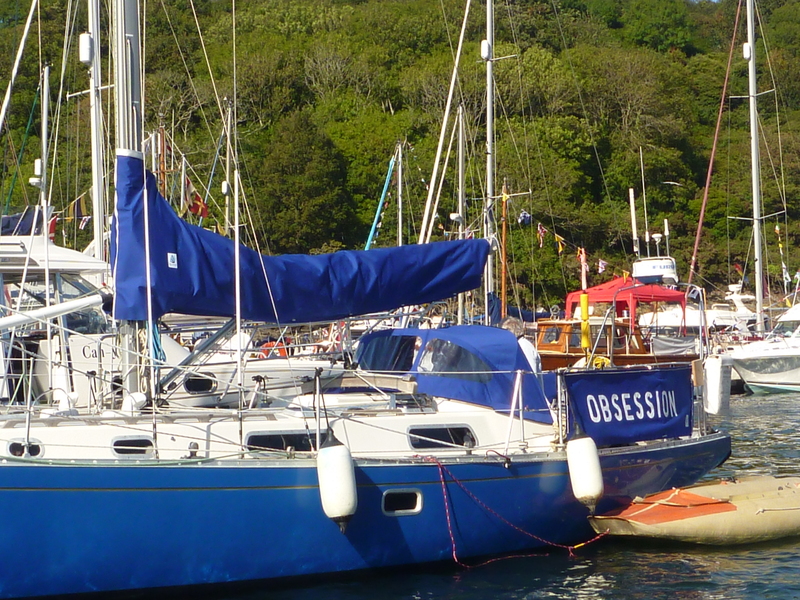 ‘Obsession’, recently had all new covers including a Spray hood, Main cover and dodgers that were fitted during regatta week. 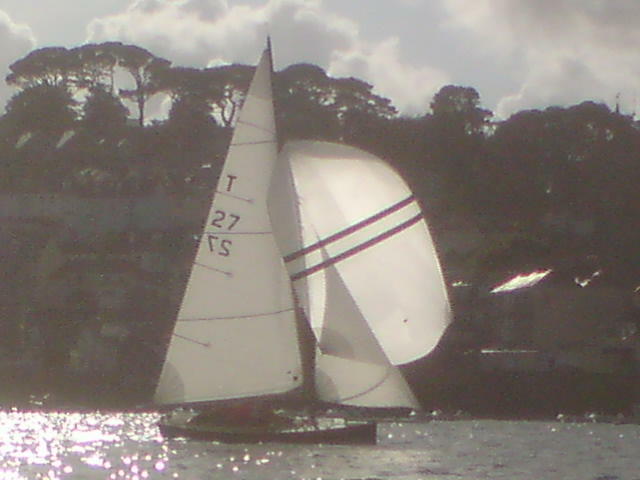 Novia Scotia has had a new set of Hyde sails with a Sail Shape spinnaker. The growth of Hyde’s network of local lofts in the UK continues with the appointment of Mitchell Sails as Hyde’s Cornish distibutor. Based in Fowey, Mitchell Sails was established by Andy Mitchell in 1983 when the previous sailmaker in Fowey stopped trading. Now run by Andy Mitchell and Alan Harris, the loft is ideally situated to service Plymouth and Cornwall. 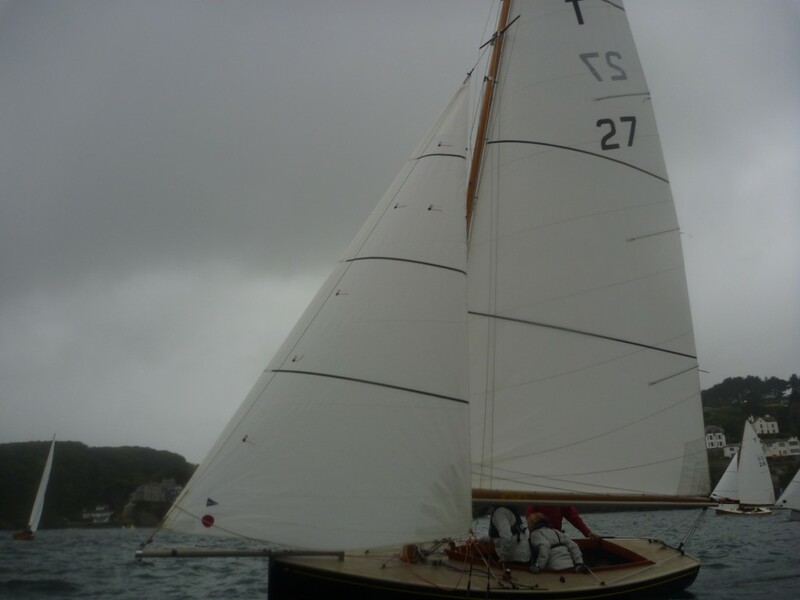 Based on the water front in Fowey, equidistance between Falmouth and Plymouth, the loft designs and makes sails and covers also providing a quick repair service. During the winter, the loft provides an onsite valeting service washing and repairing sails and covers. The two faces behind the loft offer a wealth of experience. 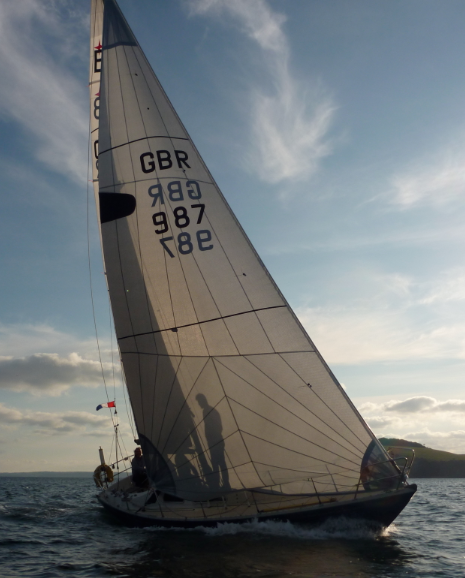 Andy Mitchell started sailmaking while he was still at school, working with a local sailmaker. After school he joined the Navy before returning to sailmaking in late ‘70s. He has been racing competitively for over 40 years in a variety of boats, including a Troy, which he owned for eight years, and a GK24. He currently sails a 505 and Fowey River Dinghy. He has been making and repairing sails and covers since 1983. 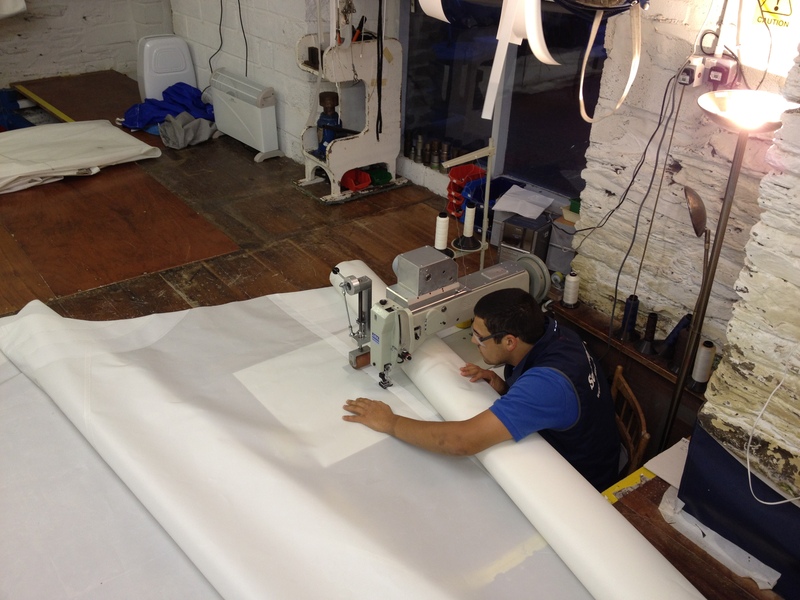 Alan Harris started his sailmaking apprenticeship in 2005 with Mitchell Sails. He then worked for a couple of big name sailmakers in New Zealand and Australia before returning to the UK to complete a Foundation degree in business management followed by a full degree in Marine Science. 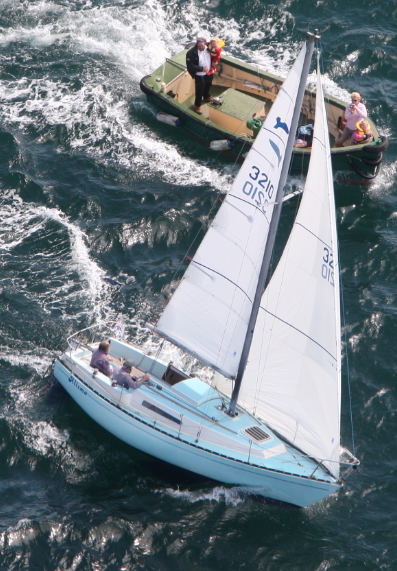 During his time in Australia and New Zealand, he sailed 16ft Skiffs, Etchells and Mumm 30s, while back in the UK he competed in J24s and an A35 before buying a Sadler 25, which he refitted to compete in the 2009 ARC. These bags are the best on the market for quality and design. With a side pocket for wallets, mobiles etc, and being made from top quality fabrics such as, Kevlar, pentex, polyester webbing and a large Pk zip, these bags are really great value for money. 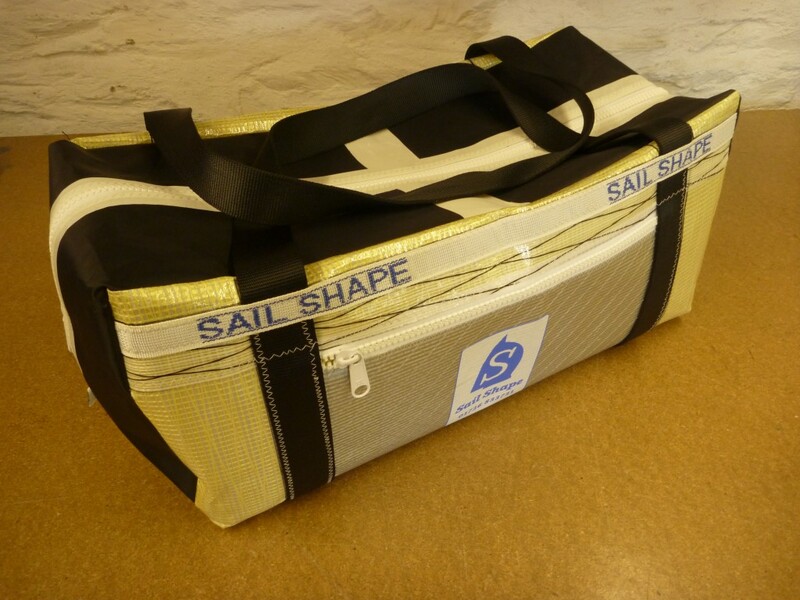 We can personalise bags to your individual requirements or make them from your old sails. (We have some in stock – phone to check on availability). If you have any questions or special requirement please ring us to discuss your needs. We have now made sails for Troy Black Pearl T27 just finished new style jib and spinnaker. Spray and main cover completed for Contessa 26 made in vanilla acrylic.